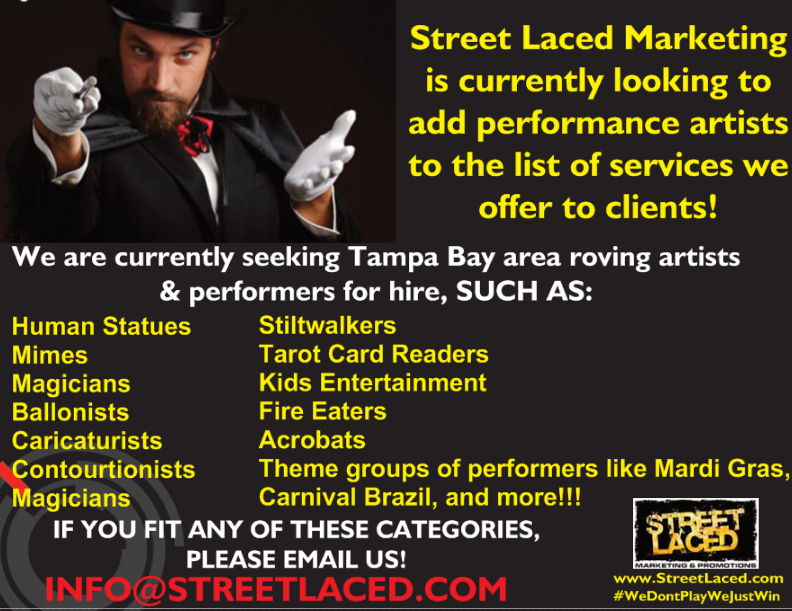 Street Laced Marketing & Promotions is Hiring! We are on the hunt for reliable and hard working individuals to become a part of our team, and join our mission to provide outstanding talent and marketing services to our clients. If you are interested in a position with our growing company, please submit your resume. Share This Opportunity, Choose Your Platform!